There is a long, storied history of elephants performing in circuses in this country, but beneath the bright lights and magic of the big top lie shocking tales of cruelty, brutality and callous indifference, though there have been some happy endings as well. A new book released last week, "Last Chain On Billie: How One Extraordinary Elephant Escaped the Big Top" by Carol Bradley, is a painstakingly detailed chronicle of the more than 100-year history of circus animals -- one that will break your heart. But it is also a tale of redemption and salvation, not only for the abused, intelligent animals but for humans who exploited them for so long. The narrative follows the sad but ultimately uplifting saga of Billie, a female elephant taken from her family in the jungles of Asia. Put on a ship to America, she was forced to let people ride on her, stand on a tub and balance on one leg. Like most circus elephants, she was trucked around the country in unspeakable conditions, chained in place for hours with no room to move, and often beaten without mercy. Eventually, Billie was delivered from her life of performance, as part of the biggest elephant rescue effort in U.S. history, and sent to the Elephant Sanctuary in Tennessee, where she remains to this day. But Billie's transition to relative freedom in a large (though enclosed) natural habitat was not easy. Billie stayed away from the other elephants, suffering alone from a form of post-traumatic stress. And she refused to let anyone remove a chain still wrapped around her leg, a bitter souvenir of her previous life. What happened next is what makes this book so inspiring. Bradley, who studied Animal Law as a Nieman fellow at Harvard in 2004, has been writing about animal abuse for years, cutting her journalistic teeth on pieces about horse slaughtering and animal hoarding. After publishing her first book "Saving Gracie: How One Dog Escaped The Shadowy World Of American Puppy Mills" in 2010, she says her interest in the "underbelly of the animal world" solidified. Bradley recently discussed her latest work with The Dodo. She professed a lifelong fascination with the use of wild animals in entertainment, beginning with her grandmother's tale of witnessing the rampage of "Murderous Mary," an elephant who killed her keeper back in 1916. Bradley, who knew she would one day write about using animals in entertainment, said that "It took a while to figure out how to approach the subject in a way I felt would draw readers in." The author first learned of Billie's saga in 2004 when, as a newspaper reporter, she came across a story about the U.S. Department of Agriculture ordering the removal of 16 circus elephants from their millionaire owner outside Chicago. She clipped the article and six years later, after leaving newspapers and writing her first book, she went in search of the animals. 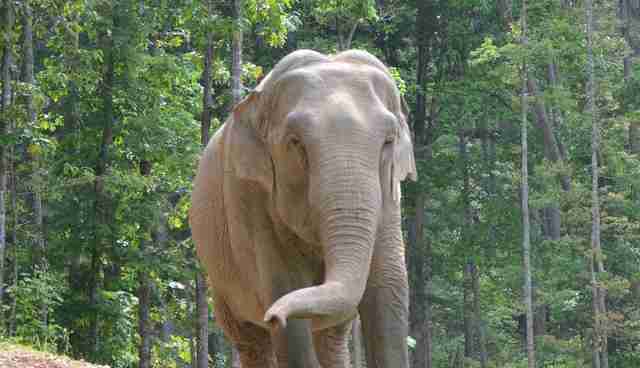 "Eight of them were living at the Elephant Sanctuary in Tennessee, and Billie was one," Bradley recalled. "Sanctuary co-founder Scott Blais convinced me that Billie's story best exemplified the suffering and remarkable resilience of circus elephants." The three years of research and writing that went into the book is evident from the moving account of dozens of elephants who suffered, and often died prematurely, at the hands of their circus keepers. 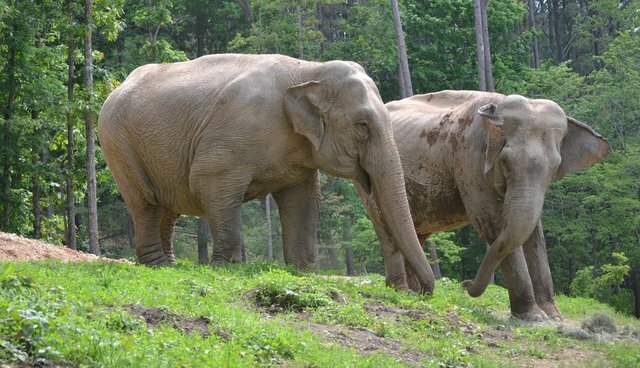 The Sanctuary provided much information about Billie's life post-rescue, "but to unearth Billie's back story I had to go digging," Bradley said. Two of Billie's former trainers are prolific bloggers, Bradley said. "I was able to piece together quite a bit about Billie through their posts. I found a treasure trove of information in the archives of the Circus World Museum in Baraboo, Wisconsin, including newsletters that reported all sorts of gossipy anecdotes. " To locate historical accounts, Bradley pored over old trainers' memoirs and searched the archives of the Museum of Natural History in New York. She attended an Elephant Managers Association conference and visited several zoos. "Information about USDA's role came largely from government records kept on file by PETA," Bradley said. "USDA claimed to have destroyed them." Today, roughly 800 elephants are still being hauled from city to city to entertain Americans. Their plight is gut-wrenching and, like the author, readers will come to understand elephants in a whole new light. "I'm astonished at elephants' intelligence and exquisite sensitivity -- how fragile their psyches are, how easily traumatized," Bradley said. "They experience so many of the same emotions as humans. And the saying is true: they never forget." And what was the saddest thing she learned? "It was an affidavit by the late Ringling Bros. trainer Sammy Haddock, who described in anguishing detail how trainers to this day go about separating baby elephants from their mothers and teaching them stunts -- and how upset this made the grown elephants who could hear their cries. That gave me nightmares." Equally depressing is that conditions for circus animals have not improved over the years, "except for the fact that fewer elephants are beaten to death these days -- it's now illegal to import elephants to the U.S., so circuses can't afford to fatally punish what they have," she said. Circuses still use "fear and force" to train their elephants and to convince them that their bullhook-wielding handlers were in command, despite the massive difference in size and strength. Living conditions are still rotten, too, Bradley said: "Being constantly chained, spending hours boxed up in a tractor trailer or on a rail car, unable to interact naturally with one another – every aspect of their lives is miserable." But it doesn't have to be this way, Bradley said. Ordinary citizens can take action to bring about an end to this shameful and exploitative practice, masked as family entertainment. "Stop going to circuses that feature wild-animal acts, and let the circuses or their sponsors know why you're staying away," she said. "Write letters to the editor and explain to family and friends why animal acts are inappropriate given what we now know about the emotional lives of animals." 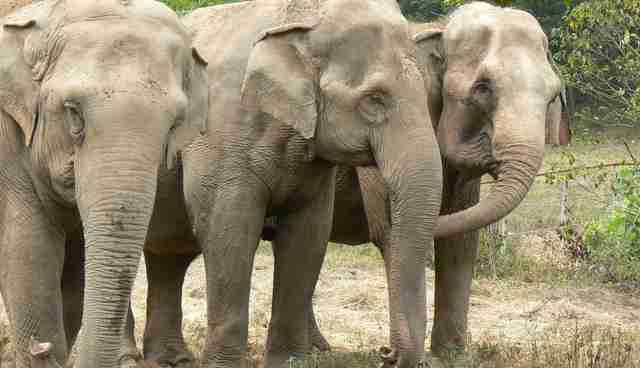 People should also support groups that advocate on behalf of captive wild animals and the two U.S. sanctuaries -- the one in Tennessee and the Performing Animal Welfare Sanctuary (PAWS) in California -- that provide a refuge for retired captive elephants. It might take years until there are no more Billies suffering in near-silence. But one day, Bradley believes, the last chain will finally be removed from the very last circus elephant.